The bills of birds are make them one of the most beautiful species on Earth. The long curved beaks of some birds help them to finding food easily, also make more attractive than other birds. 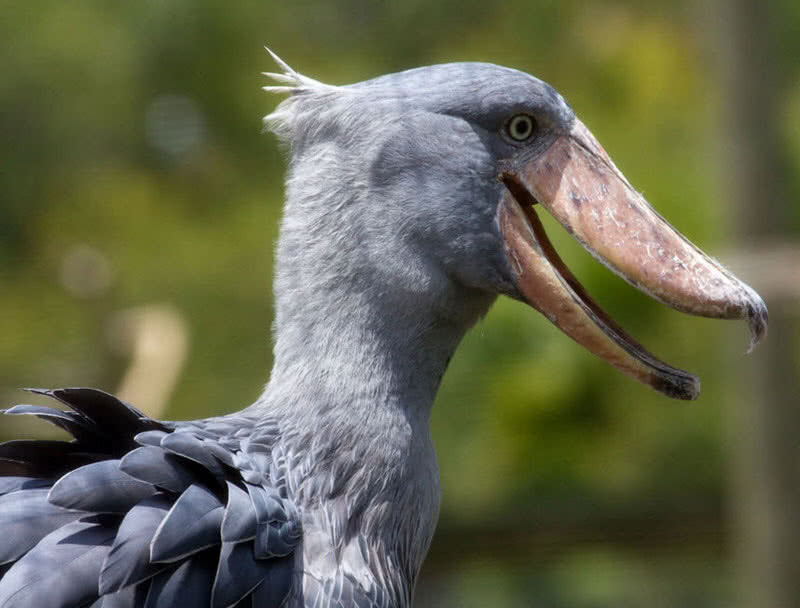 Here list of top 10 birds with amazing beaks. 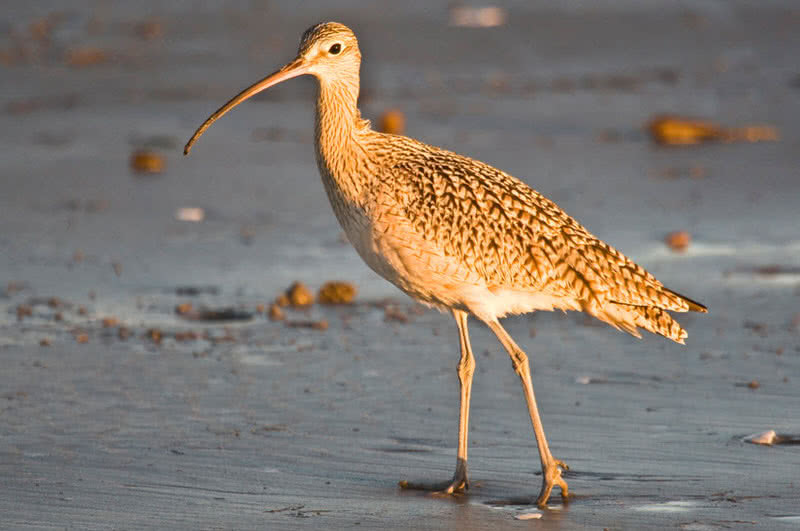 Long billed curlew is the longest shore bird of North America, also called as sickle bird. The 8.6 inch long bills in 26 inch body becomes main attraction on this species of bird. The long bill curved downwards, have long neck and small head. The female bird have longer bill than that of male birds. The long bill helped them to catching shrimps and crabs from deep tidal mud flats. They also feed on earthworms and grasshoppers. Long billed curlews used to make nest in dry places using material such as pebbles, grass, stems, twigs and seeds. The chicks also leaves the nest soon after hatching. 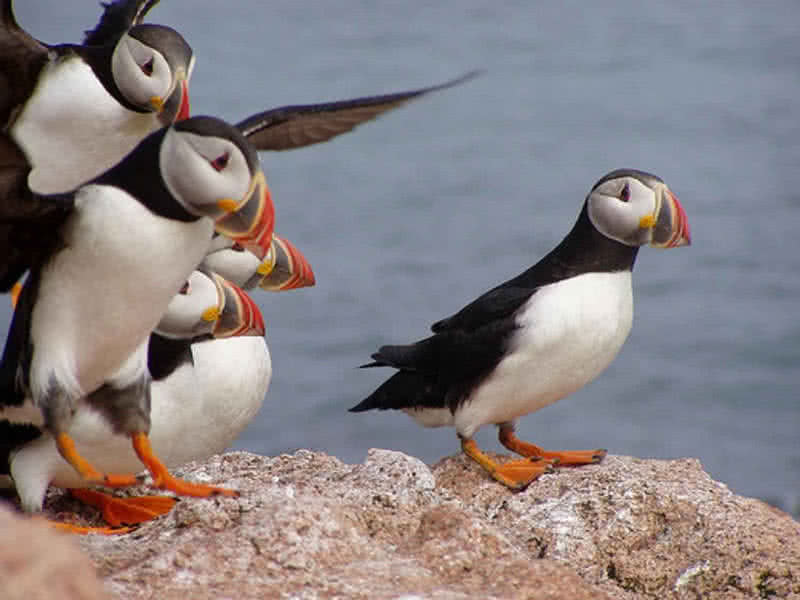 Atlantic puffin is an attractive species of seabird native to Atlantic ocean. They have a colorful broad and triangular beak, half nearest tip of beak is orange inc color and half nearest to head is slate grey. Only adult Atlantic puffins have such broad bills, younger on growing stage the upper edge curve of bill develops. Atlantic puffins have penguin like colors, called as clown of sea. They spend most of their lives at sea, used to rest in waves. Using their wings also swims underwater, dive at depth of 200 meters, can catch number of fishes at a time using broad beak. The waterproof feathers allows them to stay wars when they float in ocean. 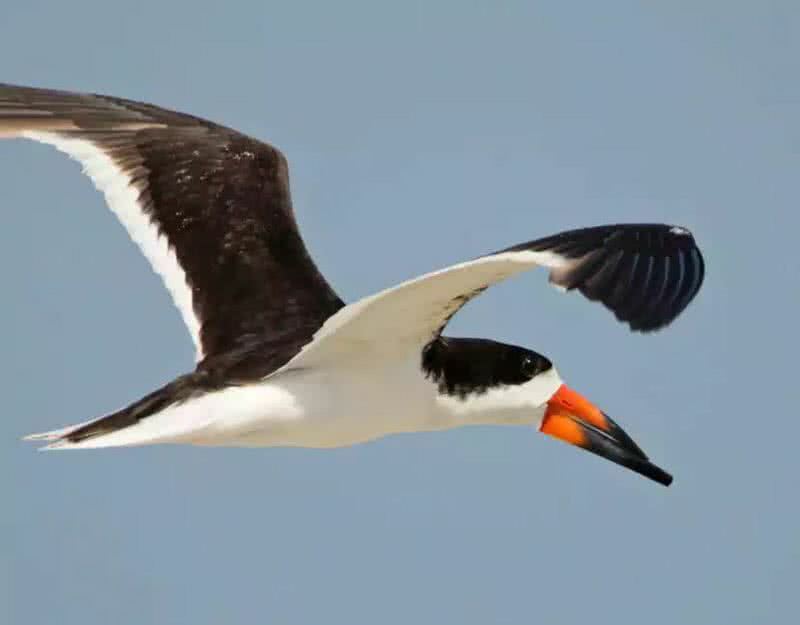 The unique long beak of black skimmer make them totally different from that f other shore birds, native to North and South America. The bill is long but thin, the lower mandible is longer than upper one. The part of bil nearest to head is deep orange and nearest to tip is deep black. 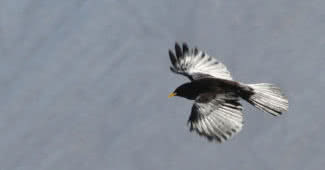 This unique shaped bill also help them in searching for food, drags the lower bill while they flies over surface of water, help them to catch small fishes easily. Black skimmers usually feed in large flocks, travel at distance of 5 miles in searching for food. Largest aquatic bird in the world native to Central and South America. They grows up to a size of 70 inches and their huge beak measures up to 15.2 inches. The lower mandible of American white pelican acts like a filter, help them to catch fishes and to filtered out the water. In breeding season their bill becomes more deep in color, vivid orange colors. 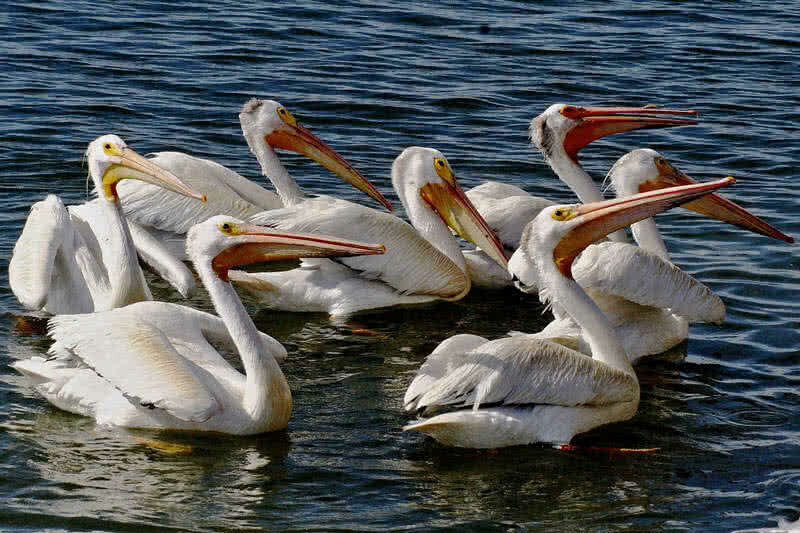 Interestingly a unique ‘horn’ will also grows in upper bill of American white pelican during breeding season. This type of horn never can seen with other pelican species. The unique spoon like beak itself brings this common name for this bird. Their bills are very long and flattened, found in large numbers in Caribbean shores, Central America, Mexico. This wading bird use their special beak to collect food like small aquatic insects and fishes. 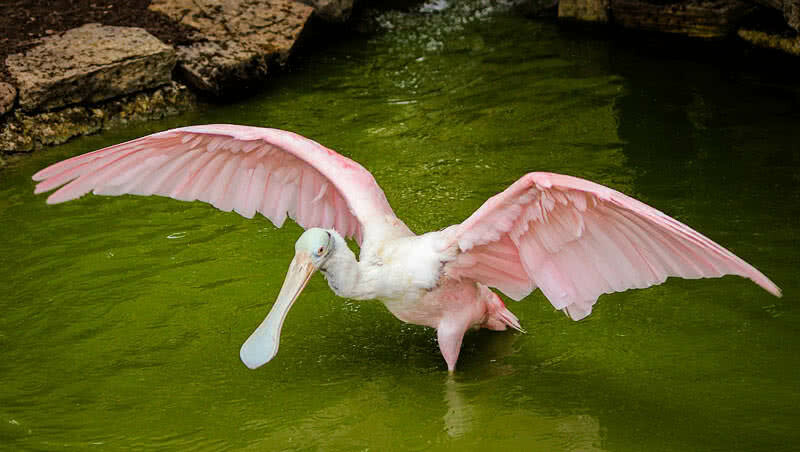 The long legs of roseate spoonbills help them easily walk in water, the bright pink coloring feathers also makes this species of bird more attractive. Shoe bills are pre-historic looks tall bird native to Africa. The massive shoe shaped bill itself is the main attraction of this bird, which also help to get this name. Te bulbous bill of this birds grow up to a size of 9.4 inches, have grayish marking in it. The sharp edges of mandibles help them to catch prey easily. They also have a sharp hook at tip of the bill, can easily pierce on any prey. Fishes are becomes main food of shoe bills, they also feed on frogs, water snakes, snails and turtles. 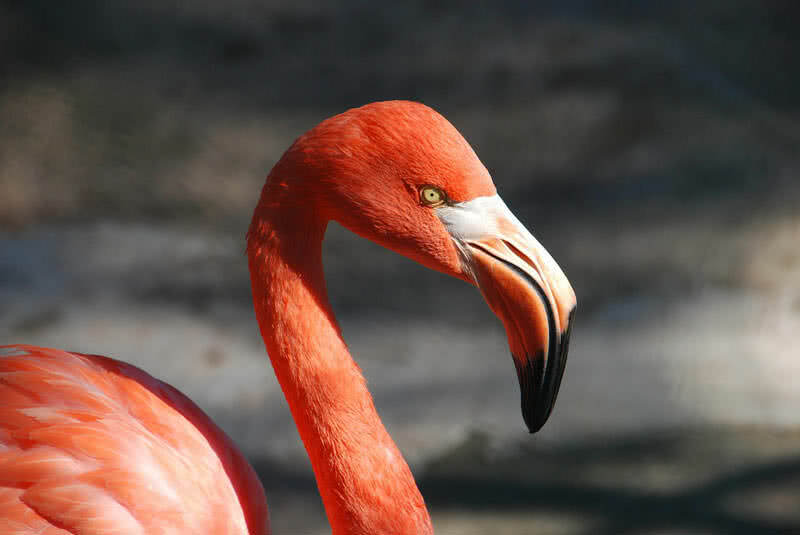 Flamingos are large pink colored birds found in saline and alkaline lakes of many continents. Just like color of feather the unique shape of beak makes flamingos to special among species of birds. Their bent bills acts like a filter, help to feed on small fishes, plankton and larvaes from mud. The bills have black color at tip and pale orange at part next to head. Flamingos used to feed in flocks, in that way they can alarms other flamingos whose head are down in mud, in searching for food. They also found in colonies in breeding time. Flamingos also born in grey color and only turn to pale color after two year. Keel billed toucan also called as rainbow billed toucan because of colored large bill, native to South America.Their bil grow up to a length of 20 cm, almost one third of length of their body. It is one of the colorful beaks in the world, can see different colors, but green color is found to be spread in most of all area. 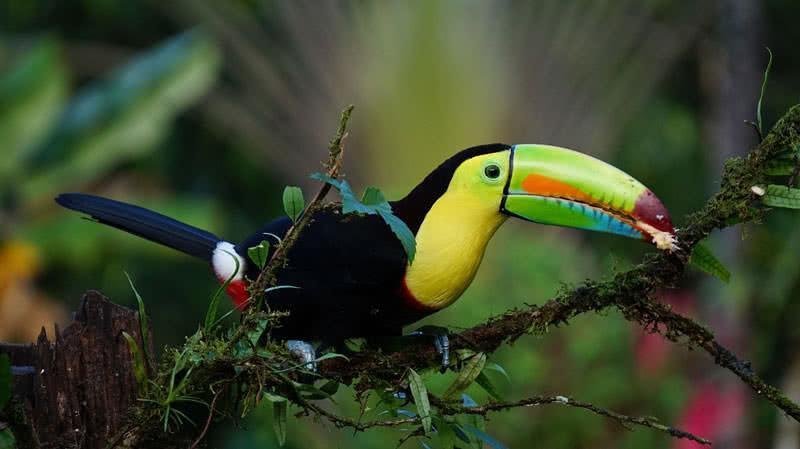 The length of bill of keel-billed toucan doesn’t affect balance of body as it is very light, but very strong. They usually feed on fruits and berries, also like to have insects, lizards and small frogs. 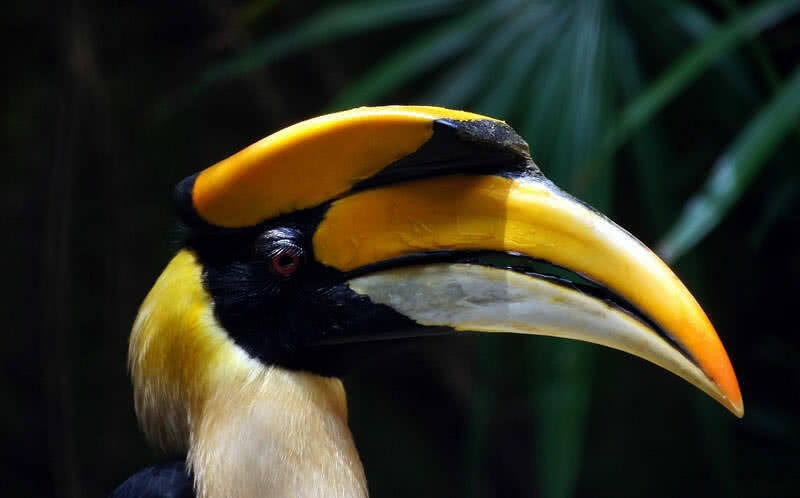 Great horn bills are one of largest members of hornbill family native to Southeast Asia. They have yellow colored curved massive bill, the black and yellow mixed casque at top of bill becomes prominent feature of great horn bill. The casque on top of bill have a concave shape and no special purpose other than sexual selection. 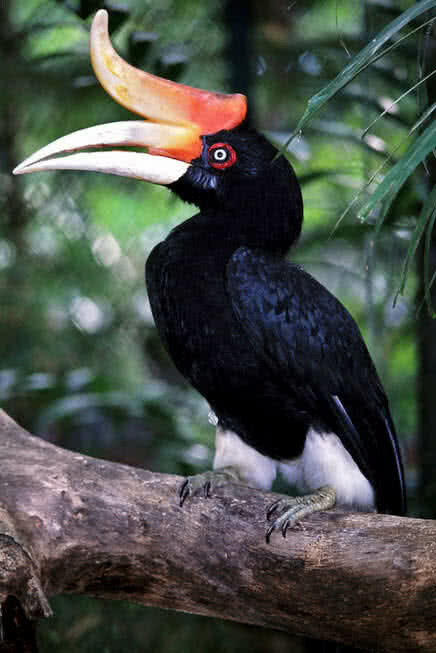 During breeding season great hornbill also make loud duet, rapid mixture of barks and roar. Rhinoceros horn bill have upward curve casque on their bill, just like rhino horn, native to rain forest of Indonesia, Thailand and Singapore. This casque is largest one among horn family, which also brings this common name for them. Male’s casque are little bigger than that of female birds. It took almost six for the completion of growth of casque over the bill of rhinoceros horn bill. They also this casque to amplify it’s calls, becomes so loud,can hear throughout the forest.